The other night I made one of Yuki’s favorites, a dish she usually makes. She, like most Japanese absolutely love nabe in the winter time and it’s hard to blame her. You just can’t beat a good table-top soup filled with meat, veggies, and a good broth. I think chicken meatballs rolled in cabbage is her favorite and one she’s made quite a few times for me, so this time I made it for her. First thing I did was get the meatballs wrapped and ready to go. 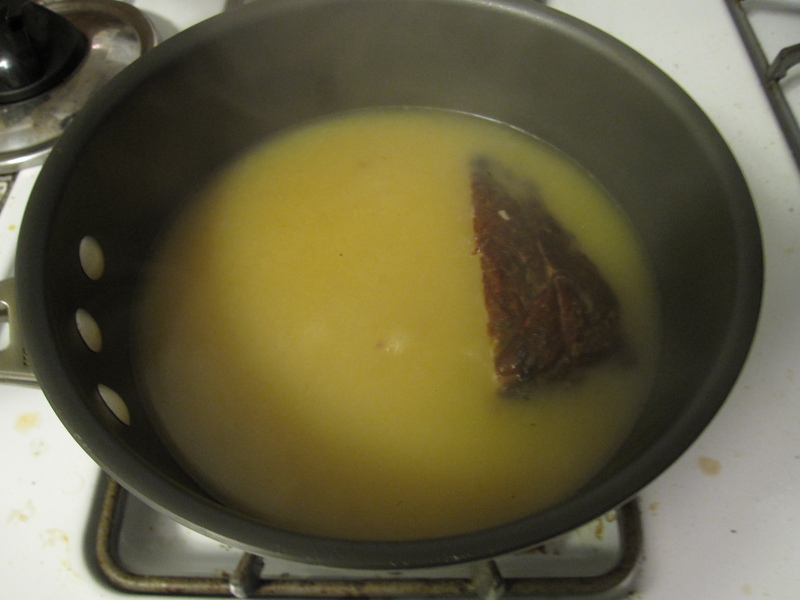 I used chicken stock as my base for the broth so I used 2 cups of it to soak a heaping tablespoon of dried hijiki seaweed for about 30 minutes before I could do much else. When the hijike was rehydrated I strained the broth into a soup pot. 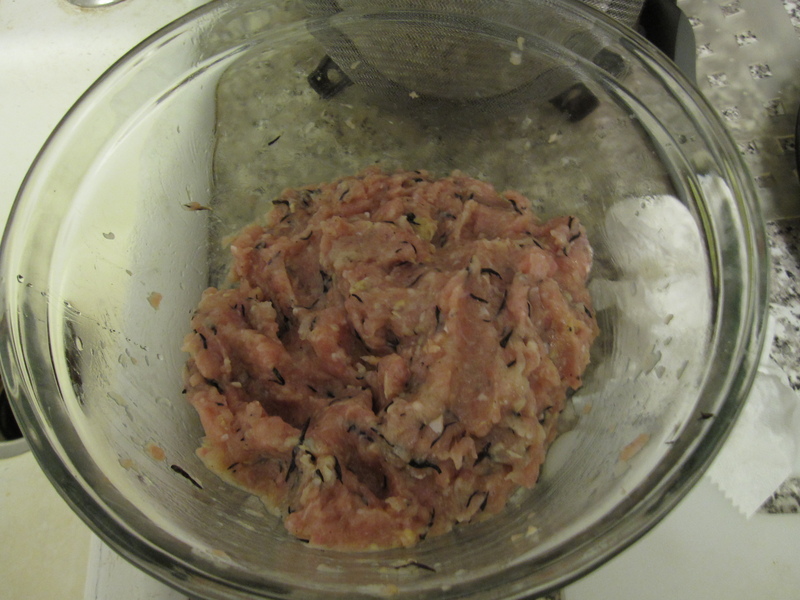 The rest of my meatball ingredients were 1/2 red onion, 2 garlic cloves, 1/2 inch of ginger, 1 pound of ground chicken thigh, and a small head of napa cabbage. 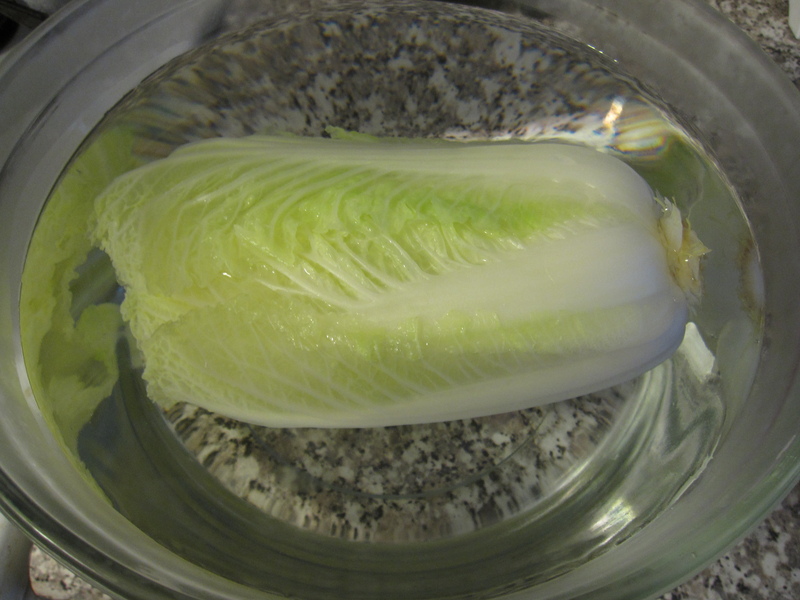 To make the cabbage more pliable I dropped it into some salted boiling water and let it boil for about 2 minutes. Then I took it out and shocked it in ice water. The boiling water softened it making it easier to roll while shocking it in ice water helps it retain its color. In a glass bowl I grated the onion, garlic, and ginger into the chicken meat, added the hijiki, seasoned it with salt and pepper, and mixed it thoroughly. 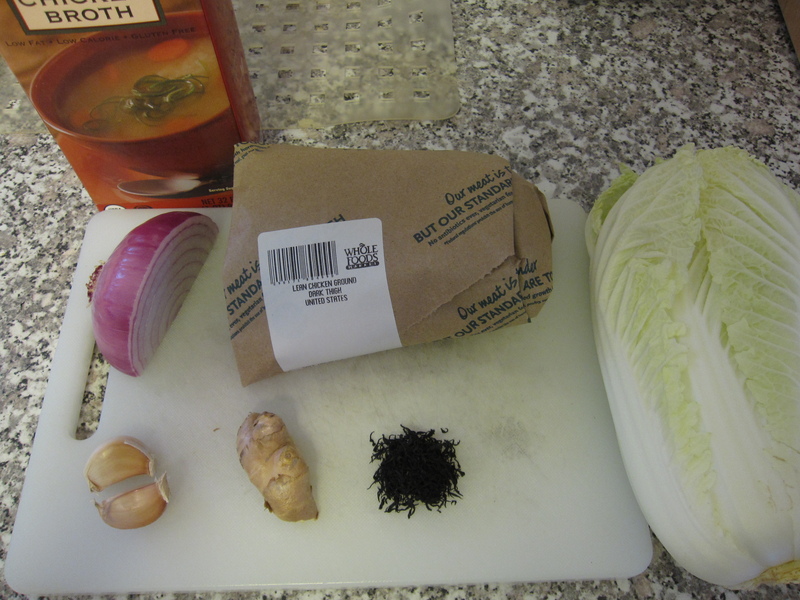 Then I rolled walnut-sized meatballs in the cabbage and secured them with toothpicks. 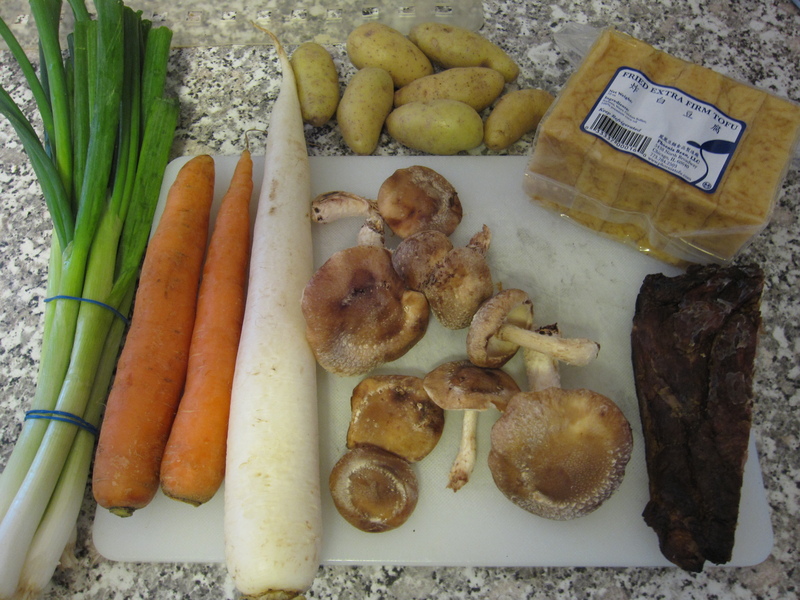 The rest of my ingredients for the nabe were 6 green onions chopped, 2 small carrots chopped, 1 small daikon chopped, 7 fingerling potatoes halved, 8 shiitake halved, a package of fried tofu sliced, and 1 Honey 1 Rib (yes, I am finding creative ways to finish up those ribs since I over-ordered). 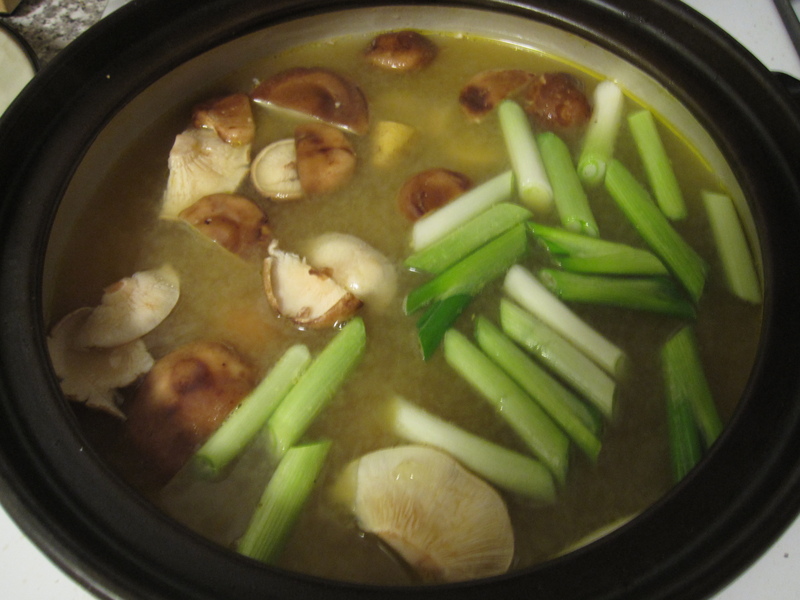 I put the rib in the chicken stock that had already soaked the hijiki and added 2 cups of water. I brought that to a boil and let the rib simmer in the broth for about 15 minutes. 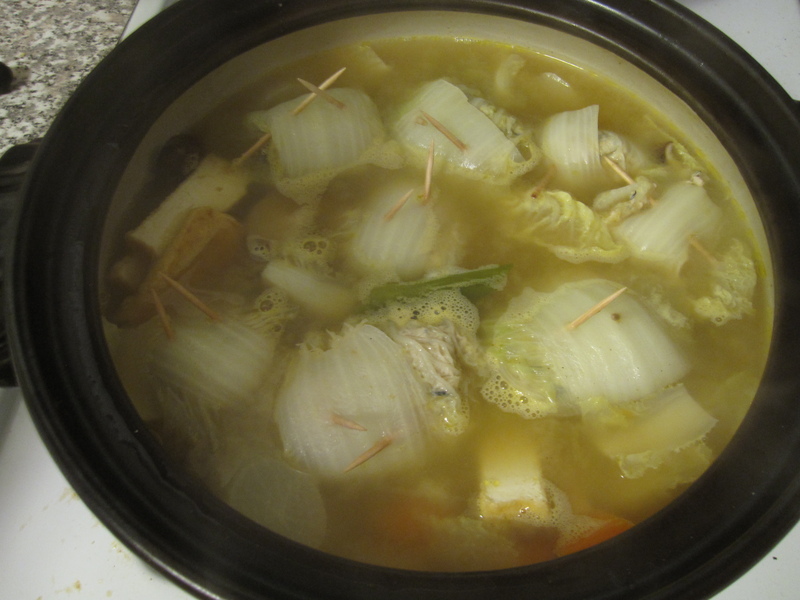 Then I strained the broth into our nabe (clay pot). The rib added some nice smokey depth to the broth. It also gave me some moist tender meat to nosh on while finishing up the cooking. 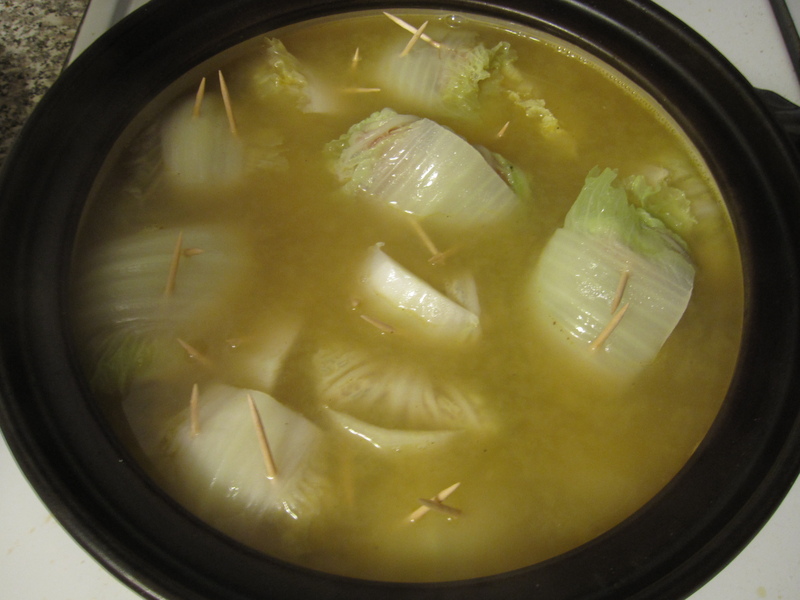 Then I brought the broth back to a slow boil and added the chicken-cabbage rolls. I let them cook for about 15 minutes to make sure they cooked all the way through. Once they were cooked I took them out and set them aside. I kept the broth at a low boil and added all of the veggies. I let them all cook for about 10 minutes. Once all of the veggies were cooked I added the chicken-cabbage rolls back and took the nabe to our table-top propane burner. To serve, I poured about a tablespoon of ponzu in each of our bowls. 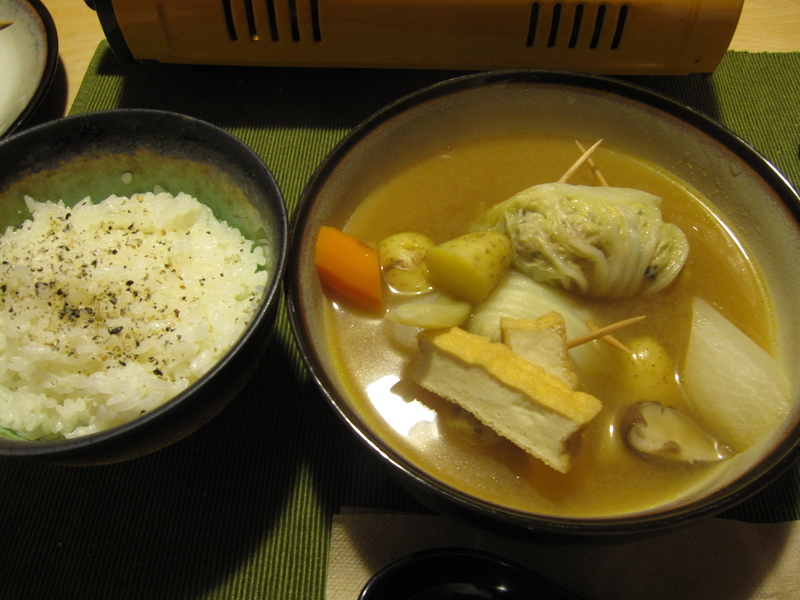 We helped ourselves by adding broth, meatballs, and vegetables along with a dash of togarashi. I had white rice topped with ground sesame seeds along with it. Too bad, I’m not making it every day.